Pubblicato in 1/144, BANDAI, GUNDAM, GUNPLAS, REAL GRADE	| Commenti disabilitati su The release of RG 1/144 Nu Gundam seems to be announced on April 23, 2019 at THE GUNDAM BASE TOKYO. 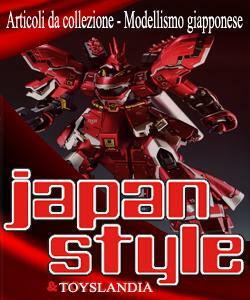 Pubblicato in ACTION FIGURE, GUNDAM	| Commenti disabilitati su P-Bandai ROBOT Spirits YMS-09D Dom Tropical Test Type ver. A. N. I. M. E.
A new series will be launched on April 17, 2019 at the Premium Bandai Hobby Online Shop. Pubblicato in GUNDAM, GUNPLAS	| Commenti disabilitati su A new series will be launched on April 17, 2019 at the Premium Bandai Hobby Online Shop. A new MSV project “METAL BUILD Alternative Strike” will be announced at the event “METAL BUILD∞-Metal Build Infinity” held on 6/22 ・ 23. 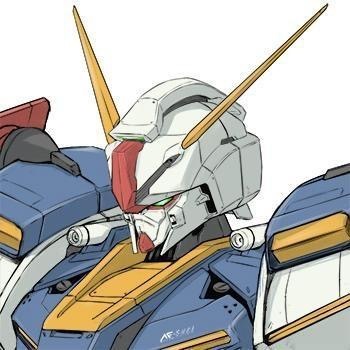 Pubblicato in ACTION FIGURE, BANDAI, GUNDAM	| Commenti disabilitati su A new MSV project “METAL BUILD Alternative Strike” will be announced at the event “METAL BUILD∞-Metal Build Infinity” held on 6/22 ・ 23.